The hype around Pokémon Go may have died down in the last few months, but the game is still making a lot of money almost a year after launch. Figures from Think Gaming, which were provided by MusicMagpie, show an average of 148,000 daily users for the last five months. That’s down from 1,600,000 users between the July launch and November 2016. Between July and November last year, the game was making an average of about £100 ($130, AU$175) a minute, but now the game has dropped to only making £77.39 ($99.52,AU$134.88). That's still a huge amount of money being made by Pokémon Go though, especially considering it has lost 90% of its original player base in the last year. It means those still playing Pokémon Go are dedicated fans, spending a lot on in-app purchases. Pokémon Go is making more than Game of War Fire Age, which makes an average of £41 ($53, AU$71.35) a minute and Clash of Clans that makes £52 ($67, AU$91) in the same amount of time. Candy Crush Saga is still on top though, and now makes £116 ($149, AU$202) per minute. Think Gaming works with estimated values but its figures are trusted by over 75,000 game developers, publishers and investors, which seems to prove it has accurate figures. It collates the stats based on a model that uses each app's ranking in both the Google Play Store and Apple App Store to estimate revenue and daily active users. That model is built and fed anonymous data taken from a series of top grossing games available on both Android and iOS stores too. We'll never know for certain the exact daily usage figures for Pokémon Go unless developer Niantic is inclined to share them. 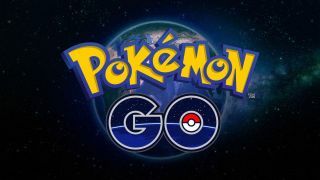 When asked by TechRadar, Niantic said it had reported in April that it was seeing 65+ million players every month so make of that what you will. If accurate, the Think Gaming report proves there are a lot less people playing Pokémon Go right now and it still continues to make huge amounts of money. It shows those that are still playing Pokémon Go are invested enough to be spending money, but whether that will continue until June 2018 is another question altogether.